^ "Howard Swint: Confederate revisionism warps U.S. history". Charleston Daily Mail. 15 June 2011. Retrieved 30 December 2013. ^ Noack, Rick (1 February 2018). "Poland's Senate passes Holocaust complicity bill despite concerns from U.S., Israel". Washington Post. ISSN 0190-8286. Retrieved 2 February 2018. ^ Kolander, Patricia (1999). ""Malevolent Partnership of Blatant Opportunism?" Croat-German Relations, 1919-1941". In Bullivant, Keith; Giles, Geoffrey J.; Pape, Walter (eds.). Germany and Eastern Europe: Cultural identities and cultural differences. Rodopi. p. 267. ISBN 9789042006782. ^ Brunnbauer, Ulf (2011). "Historical Writing in the Balkans". In Woolf, Daniel; Schneider, Axel (eds.). The Oxford History of Historical Writing: Volume 5: Historical Writing Since 1945. Oxford University Press. p. 364. ISBN 9780199225996. ^ Stojanović, Dubravka (2011). Ramet, Sabrina; Listhaug, Ole (eds.). 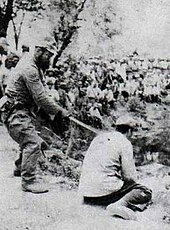 Serbia and the Serbs in World War Two. Springer. p. 249. ISBN 9780230347816. ^ Gheddo, Piero. 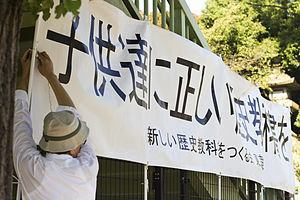 "Okinawa against Tokyo's attempts to rewrite history". Asianews.it. Retrieved 4 December 2013. ^ Ayee Macaraig (26 August 2015). "Marcos on dad's regime: What am I to apologize for?". Rappler. This page was last edited on 13 April 2019, at 22:26 (UTC).